Next to styling, sound design and noise reduction are taking an increasingly important role in the development of products. Components like fans often produce annoying noise, also - according to a study of the WHO (World Health Organization) - the consequence of prolonged exposure to sound pollution is potentially harmful to humans. 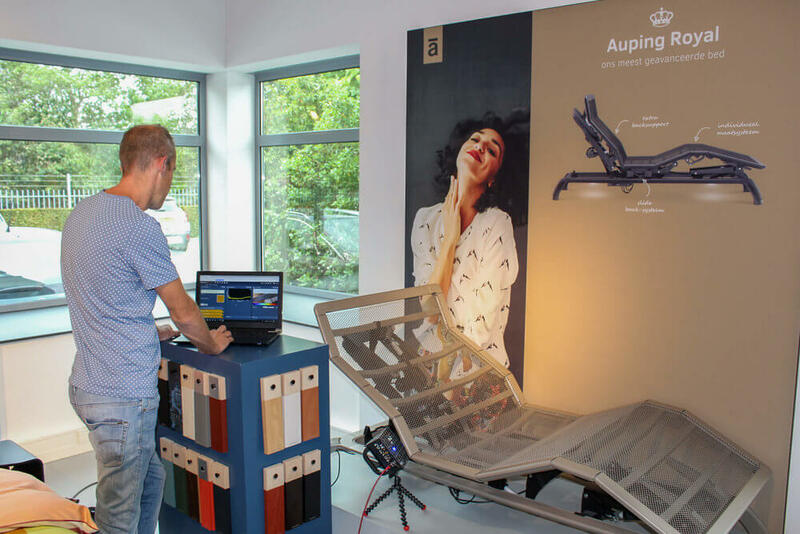 Auping has worked for 130 years on solutions in the area of sleep and the power of rest. Our conviction: a well-rested world is a better world. Sustainability, design and innovation are our main drivers. A good bed base is extremely important because it guarantees the right level of support and ventilation, ensuring a good night sleep. During the development process we pay attention to all relevant product details in order to maximize your sleeping experience. One of these is preventing noise generated by the bed construction. 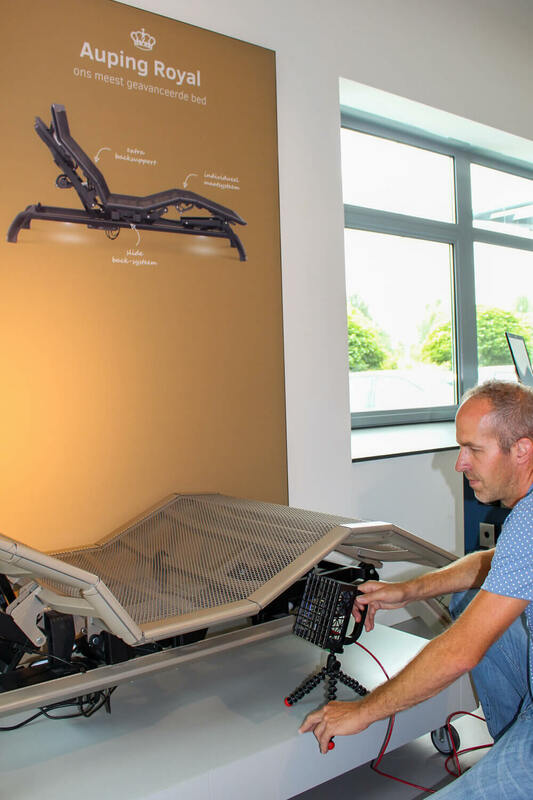 Therefore, we invested in the Sorama CAM64 acoustic camera to enable our product development department engineers to analyze in detail what happens with the bed construction when in use. The resulting visualization of noise is giving us knowledge and insight resulting in silent beds, bed surrounds and furniture. Not only when it’s brand new, but during the complete lifetime of Auping products as well. Cooler Master chooses to make their products even quieter by working with Sorama’s sound camera, a kind of thermal camera for sound. Sorama's solutions provide unmatched precision, ease of use and accessibility. As a result, Cooler Master obtains unprecedented insights into sound and vibration characteristics of their products, allowing them to further improve and validate their designs. A commercially available screw driller makes noise caused by the electric power source induced vibrations. With the Sorama Scan M a first analysis of a free rotating screw driller was performed in an office environment. This means these results were not obtained in an anechoic chamber, but in an open space office.